While pre-built fire pits can be fantastic centerpieces for an outdoor living space, sometimes only a custom design will do. A DIY (or do it yourself) fire pit gives the designer unlimited options for shape, size, fuel type, style, and material and allows it to easily blend into its decor or stand out against it. Your options are nearly limitless depending on your level of carpentry and design skill and how much time you have to invest in your fire pit. Of course, you can build it entirely from scratch using raw materials and simply purchasing the fuel components, burners, and fire ring to complete it. 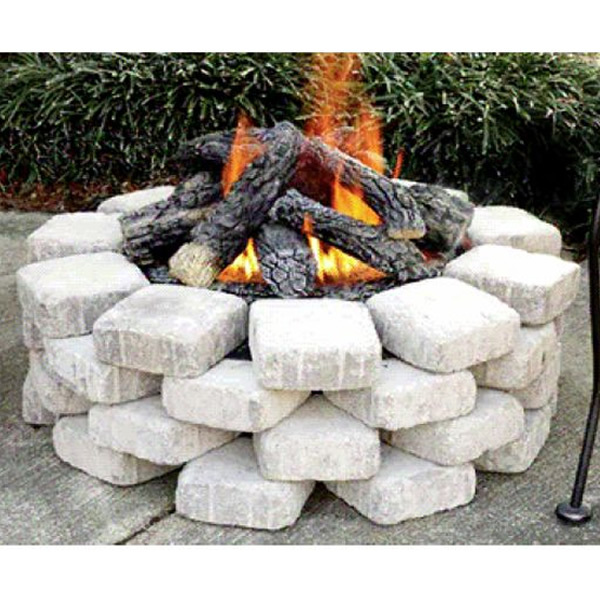 This option allows you to design a fire pit just about anywhere in any shape or size you choose, whether a classic circle, a more unique triangle, or a very original kidney shape – your options are as open as your imagination. If building entirely from scratch isn’t your thing, you also have the option to start with a pre-built fire pit shell or unfinished fire pit kit. Fully functional upon delivery they only require your choice or fuel hookup, burner system, and your choice of embellishments and can then be adorned with any finishings you choose. Traditionally, these pre-built fire pits come in varying sizes and are available in a myriad of classic geometric shapes including squares, ovals, octagons, and rectangles. Whatever your skill level or design experience, a DIY fire pit ensures that you get exactly what you want as a centerpiece to complete your outdoor space.